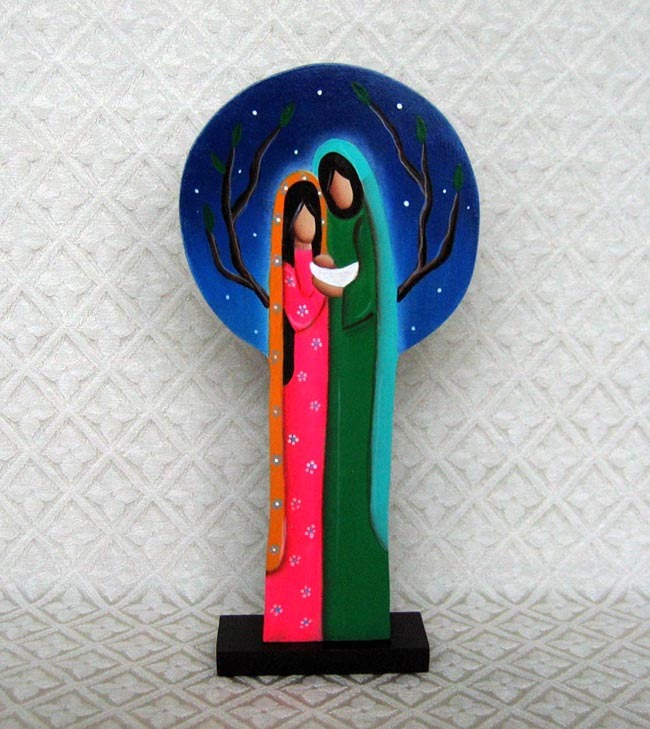 This stylized Holy Family is designed, carved, and hand-painted by Veronica Verna. She lives in a town called San Antonio de Los Altos, close to Caracas, Venezuela. Veronica signed the piece as “V. Verna” on the back, but sometimes she also signs her name as “Veronique Verna.” She works alone producing her art, which includes cutting the piece from a block of wood. She also enjoys painting birds. Veronica has been selling her art locally in Venezuela, so this is the first time her work is available worldwide. The piece stands 7.75 inches tall.